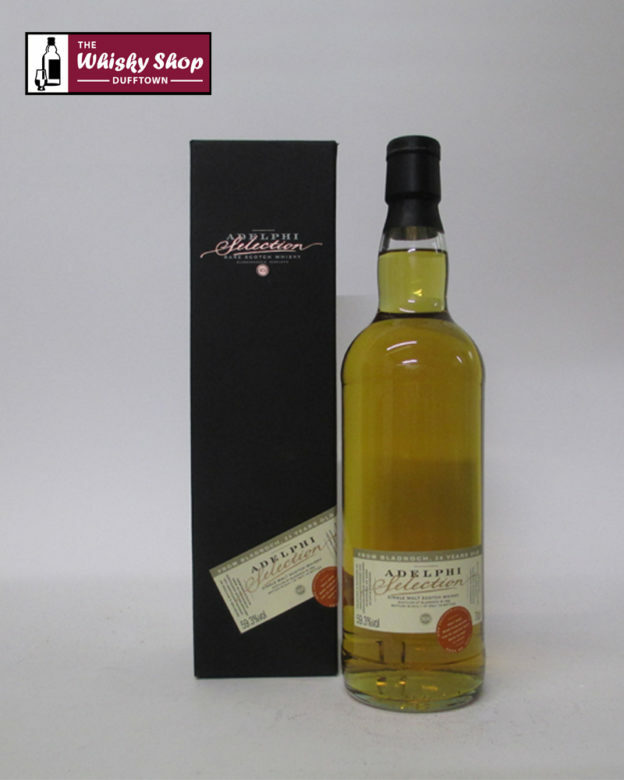 This Adelphi Bladnoch was distilled in 1990 and bottled in 2014 from a refill ex-Bourbon cask which produced 144 bottles. Adelphi: A top note of orange blossom segues into orange boiled sweets and syrupy tinned peaches. The aroma reduces with the addition of even a little water, becoming slightly more oily (crisp chicken skin), both sweet and sour. Adelphi: Spicy on the palate with dry marzipan in the aftertaste, possibly chocolate marzipan. Reduced on the palate, it also starts sweet, turning to bitter lemon and grapefruit. Adelphi: Quite drying with chocolate covered marzipan in the aftertaste. Spiciness reduced but still there.